‘The Dive Hut Bonaire ‘ is an exciting and unique concept for Bonaire. 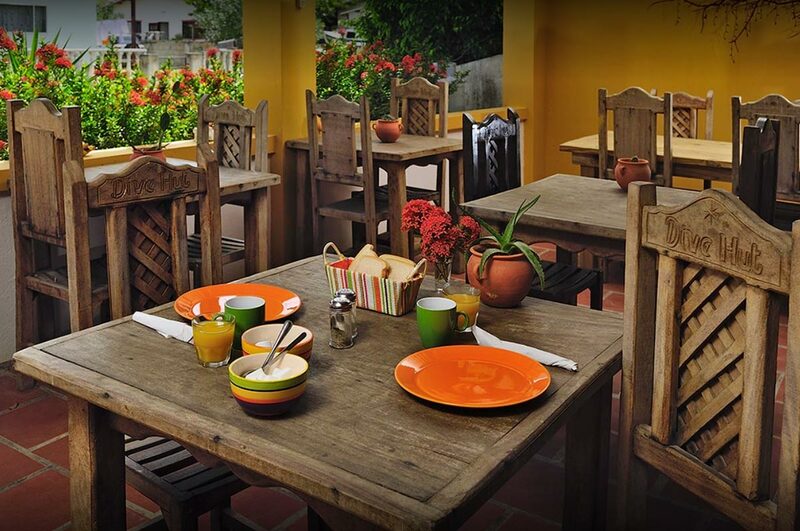 A small, intimate and very budget friendly hotel. It is not waterfront nor luxurious yet it has a great atmosphere and is totally dedicated to providing excellent service to our guests. 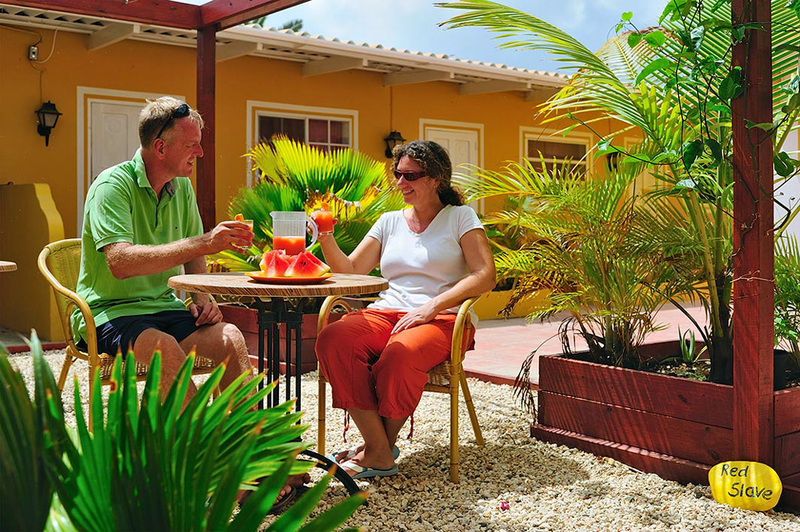 Situated just north of Kralendijk, the capital of Bonaire, in between two dive facilities of Wannadive, it is walking distance to town, the beach and the divecentre. 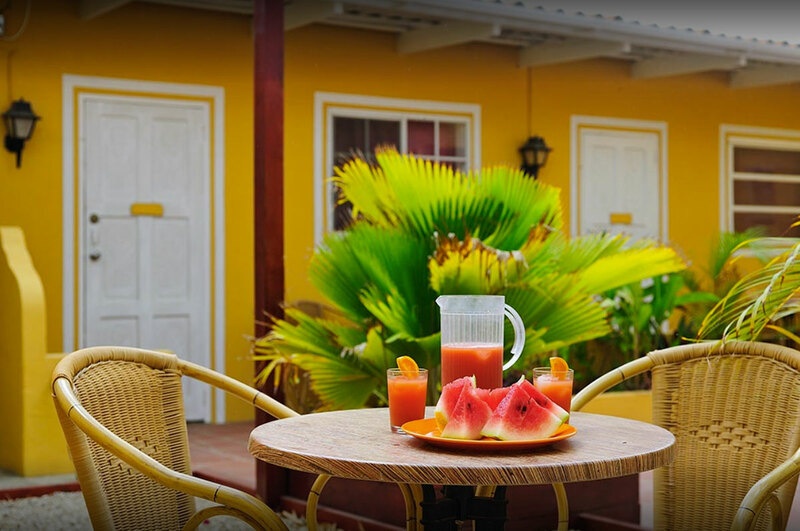 The ‘Hut’ has complete facilities to satisfy even the most demanding diver, including fully renovated rooms, own dive facility with 24 hours access, a nice and cosy restaurant and not to forget our rooftop with great views of Bonaire. STAY in one of Dive Hut’s newly renovated rooms, studios or apartments and start the day fresh and relaxed. 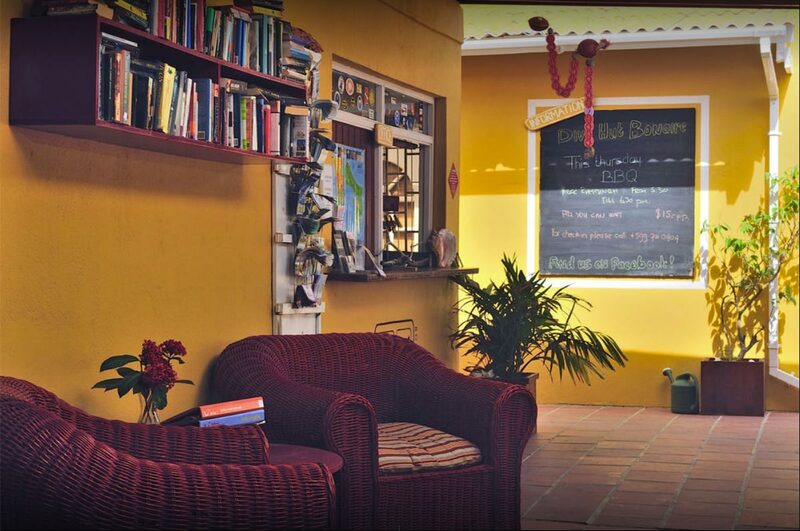 All our accomodations are clean, comfortable and tastefully decorated. Airconditioning, WiFi, Warmwater showers are standard. We’ve had the pleasure of welcoming some truly great guests over the years.